Stock markets closed higher on Tuesday, after two consecutive sessions of losses. The BSE benchmark index Sensex rose 207 points to end at 37,852 and the NSE Nifty settled at 11,435, up 79 points from the previous day’s close. While banking and financial stocks supported the upmove, strong gains in export-oriented sectors such as IT and pharma pushed the markets higher. However, overall breadth of the markets was neutral with 877 decliners on the NSE as against 848 advancers. Equities in other Asian markets also rose, supporting the domestic shares, as trade anxiety stemming from a plunge in the Turkish lira showed signs of easing. 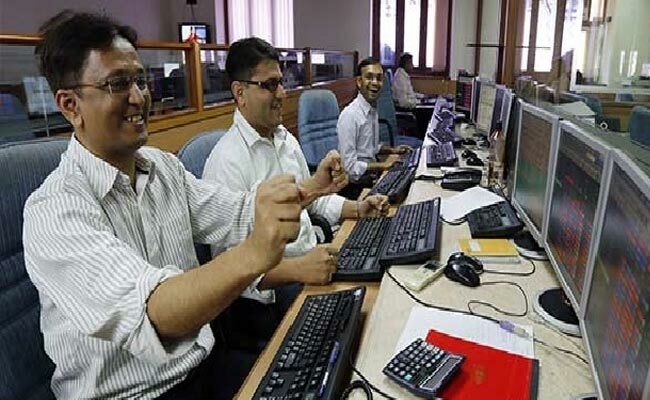 Top gainers on the 50-scrip Nifty index were Sun Pharma, Yes Bank, Lupin, Cipla and Bajaj Finance, closing between 2.5 per cent and 7.4 per cent higher. IT stocks jumped after the rupee declined below 70 against the US dollar for the first time ever. Analysts say weakness in the rupee is positive for IT and pharma companies, as it boosts their profitability. The Nifty IT index – the NSE’s sectoral index comprising IT stocks – closed 0.9 per cent higher. Pharma stocks also surged, with the Nifty Pharma index closing 3.2 per cent higher. Pharma gains were led by heavyweight Sun Pharma, after the drug maker reported its earnings for the April-June period. Sun Pharma said net profit in the quarter was at Rs. 983 crore, as against a loss of Rs. 425 crore in the corresponding period a year ago. “In the near term, markets could remain volatile on the back of mounting currency crisis in Turkey which has raised fears about a possible contagion into other markets,” said Jayant Manglik, president, Religare Broking. The rupee hit an all-time low of 70.10 against the US dollar during Tuesday’s session, on concerns over Turkey’s economic woes. The government said the fall in the rupee was due to external factors which were expected to ease and there was no need to worry at this stage. “The Turkish lira and the cross-currency impact along with exposure of banks to Turkey is leading to the turmoil… As long as oil continues to be at the current levels, we expect rupee to trade between 69.50 and 70.25 levels,” said Salil Datar, CEO and executive director, Essel Finance VKC Forex. Analysts will also closely watch crude oil price movement and the US-China developments on trade front for market direction. “Developments on US-China trade war, currency and crude oil price movement would also be actively tracked,” Mr Manglik added.